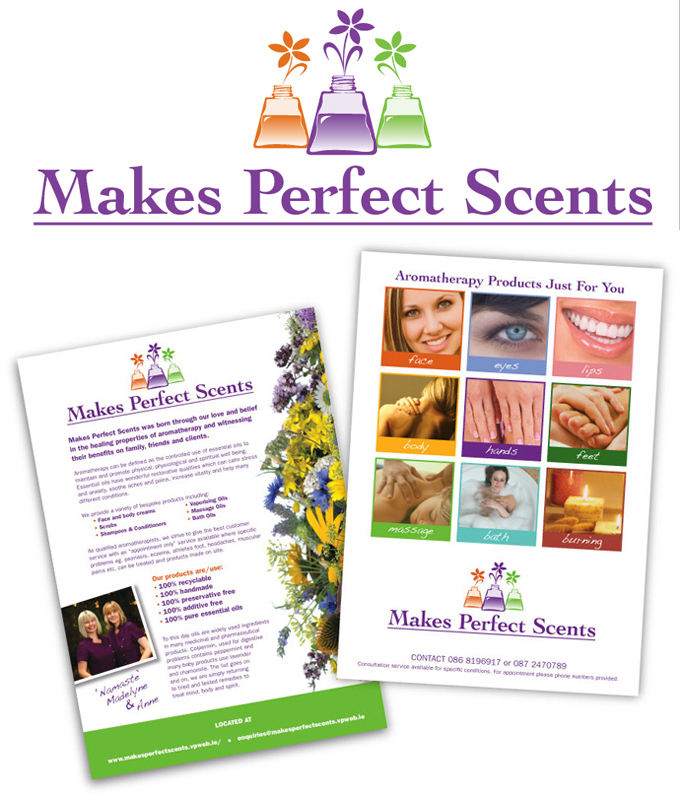 I designed a logo and flyer for 'Makes Perfect Scents'. A small start up company who make aromatherapy oils. I felt it was important to convey the scents through carefully selected colours. This colour palette also represented the areas of the body that the different aromatherpy oils targeted.